No Sunnah Masjids in Tehran! So what’s about this claim? Is it true? False? A “Wahhabi” propaganda? well let us first analyse the most common (mendacious) answers one can get, when confronting Iranian officials and pro-Iran Shias . That’s not even an excuse, this is plain hypocricy. Secondly, Saudi Arabia never claimed unity with the Rafidah Shia sect, in fact, they are honest in their stance towards Shias, and all the major scholars of Saudi Arabia declare (at least) the Shia scholars of heresy (though most scholars in Saudi excuse the laymen of the Shia). having said that, it is the so called “Islamic Republic of Iran” that claims to recognize Sunnis as fellow Muslims with absolute freedom of worship inside Iran, according to the Iranian constitution. So they are claiming something (“unity”) which they don’t fulfill. So in fact, the Iranian regime is hypocritical, their state sect is based on Sunni hatred, including the cursing of the companions and wives of the Prophet, yet to lure the people into their cult, they do not (or at least try not) to expose much of their beliefs and especially hatred to the Sunni world . From one side they call to “unity”, yet they deprive the Sunnis of Tehran of their basic human right (having a place of worship for their own). Thirdly, and this is the most Ironic part, there are plenty of Shia “Masjids” (in fact Shia call them “Husseiniyyah”!, these are placed where they gather to beat themselves like wild animals, curse the companions, call upon their saints/Imams, and fornicate/mot’ah) in Saudi Arabia. And no, we not talking about the eastern province i.e. a Shia populated area of Saudi Arabia, rather we talking about Madinah! There is even a Shia neighbourhood in Madinah (the Nakhali tribe, an Afro-Arab tribe are virtually ALL Shia!) and the Rafidah have their own temples in the city of the Prophet – peace be upon him – HERE one example! The HUSSEINIYYAH of “Shaikh Kadhim” in Al-Madinah! Thus the “evil Wahhabis” let the Shia have their massive Husseiniyyah-Temple in the fortress of “Wahhabi” teachings (Madinah), even though the very same “Wahhabis” openly declare the Shias (mostly their scholars, for the Sunnah scholars mostly believe that the Shia masses are betrayed by their so called Ayatollahs) as Kuffar (yet the gov. of Saudi – as one can see – give the Shia more freedom than a Sunni Iranian can every dream of for himsel. Now compare that to the Iranian regime, that unlike the “Wahhabis” does NOT (openly) declare Sunnis as disbelievers, rather it calls itself THE brother and defender of the Sunni case (like in Palestine) yet, it prohibits Sunni IRANIANS in Tehran from having their own Masjid! So there is a Shia HUSSEINIYYAH in Madina, can we find a Sunni Masjid in Qom? Oh, well, there is not even a Sunni Masjid in Tehran, let alone Qom … what a question! Obviously a Masjid is a Masjid, yet with these apologetic claptrap, the Rafidah Shia want to potray the demand of Sunni Muslims of Iran, as something unatural and unnecessary, even though they know better that the difference of a Sunni Masjid compared to Shia temples (Husseiniyyahs etc.) starts right with the prayer! Whereas Sunni Masjids call FIVE times to prayer, the Shia in Iraq and Iran and elsewhere can be “proud” to not only combine their prayers at home (ALL THE TIME), rather even their “Masjids” and those who dwell inside them, call only THREE times a day to prayer! (YES, in Iran you only hear THREE Adhans a day!). So how on earth shall Sunni Muslims pray large congregational prayers, when the Shia owned SHIA Masjids and Husseiniyyahs in Tehran call to, and pray three prayers in congregational only? Now before telling you what these “Mosques” really are, we would like to challenge every Shia and everyone who defends this satanic, Anti-Islamic Iranian regime to provide a SINGLE picture of a Sunni Mosque, I repeat, a Sunni MOSQUE in Tehran. That shouldn’t be a problem isn’t it? After all there are massive Zoroastrian temples, Churches, Synagoges and even Sikh (!) 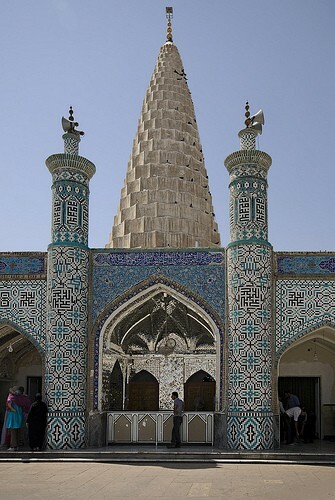 temples in Tehran. So if the list above is true, then there shouldn’t be a problem so show us a proper Mosque. This regime cannot even bear the existences of those PRIVATE flats/houses in the list above (in Tehran, like in the Sadeghiyeh district, Shahrak Danesh etc.). Congratulations to the devils who made the list about the “Sunni Mosques in Tehran”. They have simply given the addresses of those FLATS/HOUSES and claimed that these are the Mosques of their “Sunni brothers” in Tehran. Of course this is nothing but a load of tosh, for there is not a SINGLE Mosque run by the Sunni community of Tehran, not a SINGLE place where Sunnis can give Adhan etc. these are just plain PRIVATE flats/houses turned into prayer places and the Rafidite regime can’t even bear them, so from time to time (especially on ‘Eid prayers where those places raise attention of interested Shias) they simple raid and shut down those places for unknown periods of times. Iran banned Sunni’s Eid congregation!!! Sunnis prevented to offer F.Prayers in Tehran!!! 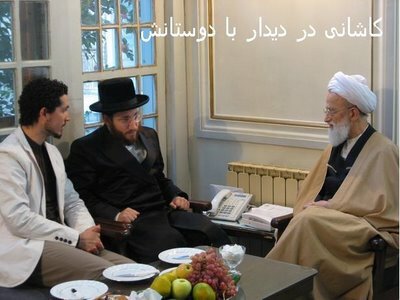 Iranian Sunni Imam speaks against the satanic khomeini regime and DEMANGING A SINGLE SUNNI MASJID IN TEHRAN!!! In Washington D.C., in Moscow, in London and even in Haifa one can find massive Sunni Mosques, proper Sunni Mosques, yet the “Islamic Republic of Iran” can’t even bear a few private-prayer houses and even raids them, so how on earth can a sincere person defend these people and this regime? 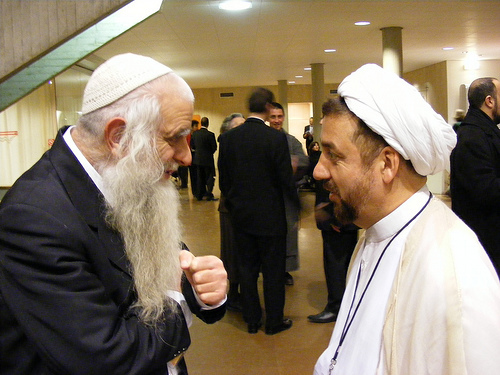 In a joint appearance with former Iranian president Akbar Hashemi Rafsanjani calling for Shia-Suni unity, Sunni Shiekh Yusuf al-Qaradawi complained that no ministers in Iran have been Sunni for a long time, that Sunni officials are scarce even in the regions with majority of Sunni population (such as Kurdistan, or Balochistan). 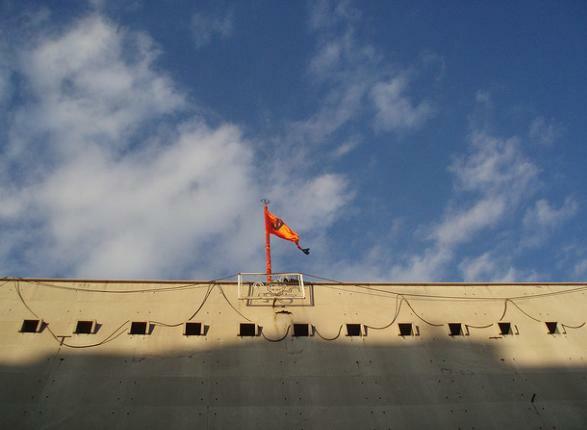 Sunnis cite the lack of a Sunni mosque in Tehran, Iran’s capital and largest city, despite the presence of over 1 million Sunnis there, and despite the presence of Christian churches, as a prominent example of this discrimination. Although reformist President Mohammad Khatami promised during his election campaign to build a Sunni mosque in Tehran, none was built during his eight years in office. The president explained the situation by saying Supreme Leader Ayatollah Ali Khamenei would not agreed to the proposal. As in other parts of the Muslim world, other issues may play a part in the conflict, since most Sunnis in Iran are also ethnic minorities. Well well, what does it take to LET Sunnis build their own Masjid? Of course it takes nothing but a “OK” from the boss, but since the “BOSS” (Khamenei) is against it, even a simple Masjid made of dirt will not make it into Tehran. And interestingly the Rafidite Safavid regime has not problems whatsover with over 40 (!) churches, over 20 synagoges and even Hindu/Sikh Temples AND Fire Temples (for the Majoos …). 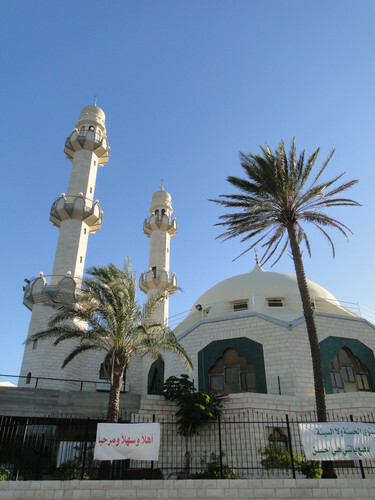 a Sunni Mosque in the Jewish fortress of HAIFA! 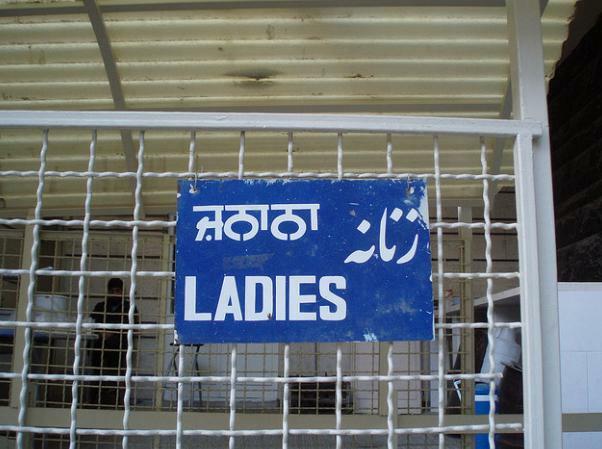 Entrance, in Persian and Hindi! 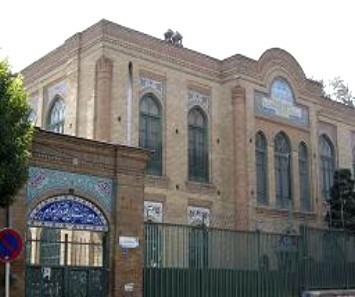 Firuz Bahram, a zoroastrian High School in Tehran! 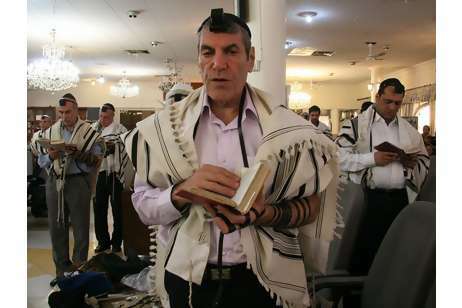 Iranians than Christians, Jews and Zoroastrian altoghether! can proudly declare: We have the ONLY capital with NO Sunni mosque in the world! 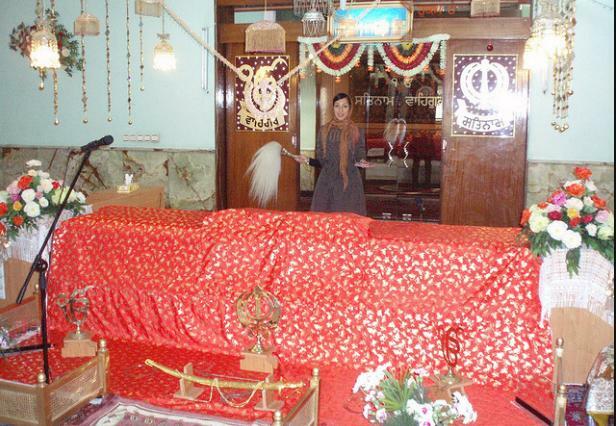 I want to point out about a factual error regarding the image of Sikh Gurudwara. The entrance board does not shows Hindi, but it is Punjabi in Gurumukhi script. Punjabi is 10th most spoken language in world. It is spoken in India and Pakistan. It is written in Gurumukhi script (similar to Hindi’s Devanagari script) in India and Shahmukhi (Perso Arabic script) in Pakistan. As you can see, your devilish “Ayatollah” regime can’t even stand those few PRAYER-HOUSES and regularly shuts them down, especially on Eid. Is it not a shame? 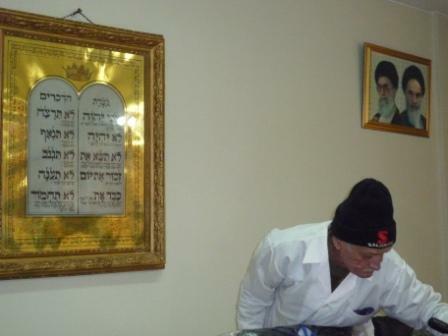 In Haifa (“Israel”), in the US, UK and even Russia, Muslims (Sunnis) can have their own Mosques, proper Mosques, in the capitals of those countries, yet the so called “Islamic Republic” (Iran) can’t even bear a few PRAYER-HOUSES! 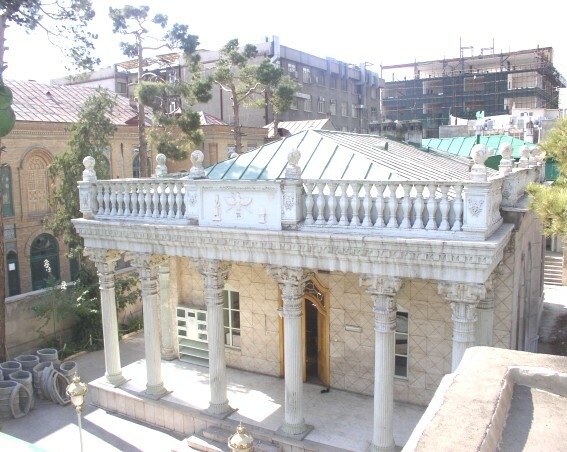 I challenge you, you lying Rafidhi, provide me a SINGLE picture of a SUNNI MOSQUE IN TEHRAN (I do have the pictures of the shabby prayer-houses!!! I posted them before you, we want MOSQUES! ), yallah! I can bombard you with pictures of MASSIVE Churches and even Sikh temples, now let’s see WHO is a liar! Very first: Thank you for insulting me. So I know at least, who I am talking to. I can show you pictures of Sunni mosques in Tehran. I don’t think that this is a problem. But I have problems to treat pictures, that no one can verify online, as an evidence for an allegation. Reasonable visitors of this website will know best, that you and others can post whatever picture they want and call it a mosque, a prayer room or anything else. Anyone who can differentiate between a Salafi and a Sunni will also be able to know what a reliable source is. A non-verifyable picture is not. In addition you already showed me, that your standard reaction to non-Shia-hating-people are insults and allegation of blindness, no matter what they say. I doubt that any reasonable argument will change this attitute. My Shia and Sunni brethern do not talk like this. They follow Ayah 125 of An-Nahl in the holy Koran. 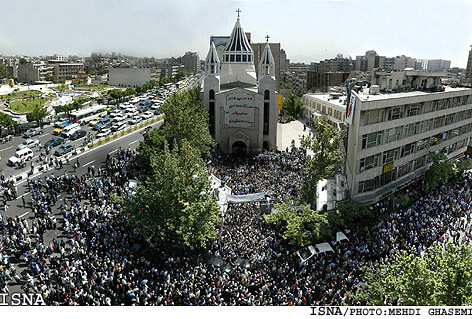 And: You do not need to show me pictures of churches in Tehran. Even the Prophet (s.) let the Christians practice their religion. He rightfully believed that Islam does not need to interdict there religious practices, because Islam is stronger anyway. So for me it is okay to let the Iranians do this as well. ^Listen, don’t make a fool out of yourself, just be sincere, try it … you blindly copy-pasted a list of prayer-rooms of Sunnis throughout Tehran. Sunni THEMSELVES in Tehran have wrote a letter to the parlament i.e. the MP’s and asked them to let them allow them to build a SINGLE Sunni Mosque, I have provided a Shia-News website, based in Iran, I have even posted the picture of those rotten “prayer-rooms/houses”, so of course you can’t provide us with a SINGLE Sunni Mosque in Tehran, you can’t provide a picture for there is no such thing, the Shia website itself admits it, nobody in fact denies it. Just be a good boy, and think twice before copy pasting rubbish from the Internet. Also spare us your filthy “Salafi-Sunni” rethoric, your filthy religion makes Takfir on the best of the Sahaba of the Prophet (SAWS) this is an offence to Sufis, Salafis-Sunnis and almost every Islamic sect. We are Iranian Sunnis, our Salaf are Rasulullah, Abu Bakr, Omar, Othman and Ali and you Rafidha, the REAL enemies of the family of the Prophet (SAWS) are the problem of this Ummah and the problem of us Sunnis inside Iran. Oh and btw, you are so blinded you did not even understand what I meant with churches in Tehran and even Sikh temples, Jewish Hospitals, Synagoges and MASSIVE libraries! The very existence of those numerous Shirk houses yet the preventation of Iranian Sunnis even owning a tiny BOOKSHOP in Tehran (let alone a Masjid!) proves how BIASED your regime is and how far away it is from the teachings of the Prophet (SAWS) and how it views its biggest enemies the SUNNIS. We really condemn salfi propaganda. Shia and sunni are brothers , don’t mess it. What the heck is ‘Salfi’?! You can’t even spell, learn spelling first then come back (it’s SALAFI). Besides, leave those old, recycled excuses such as ‘Salafi/Wahabi’ blah blah. It’s not about brotherhood it’s about a reality, a ugly reality of the Iranian regime which IS anti-Sunni. 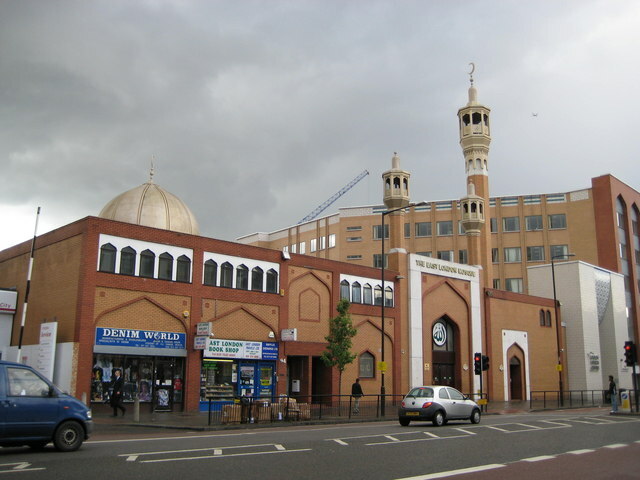 It IS the East London Sunni Masjid. Type ‘East London Mosque’ in google and you will see. Besides, you Rafidhi, there is no such thing as Shia ‘Mosque’, there are only Shia temples where besides Allah others than Allah are called upon just like in churches, Hindu temples etc. Praise the Lord that Iran is a tolerant country towards all religions. 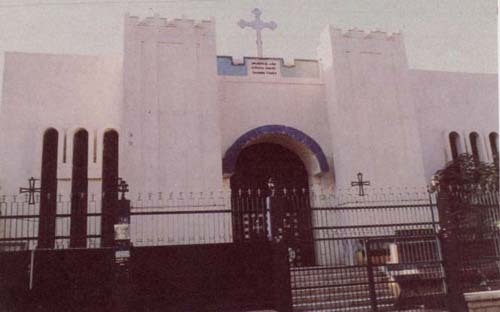 Christianity was in Iran before Islam and so there is every right for churches to exist in Iran.Your views in your article cause hate and anger amongst people which is destruction to mankind. I pray that Jesus opens your eyes and shows you his love so that you find peace, happiness and tolerance towards one another. At the end of the day we are all human. We are all the same. What is the point of your hate?? Hilarious! 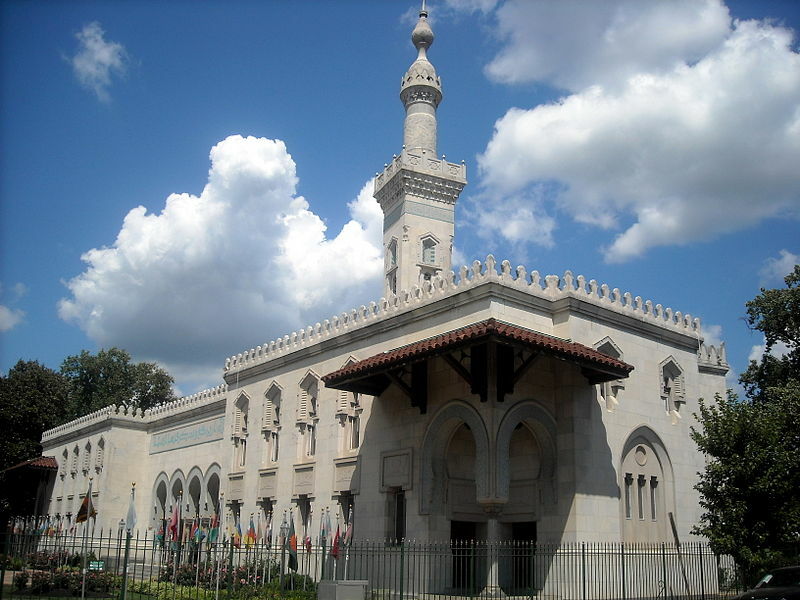 The second picture you showed is the Islamic Center of America not “the Islamic Center of Washington D.C” you liar. Too funny! Just type the Mosque title which I wrote and the entire world will see how much of a liar you are. 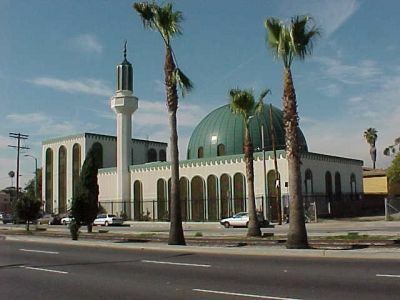 The Islamic Center of America is a Shi`a Mosque led my Ayatullah al-Qazwini. One lie in this article = no credibility in believing the entire article = no credibility for entire site! Nice job, ibn Mu`awiyah. Where is the LIE? 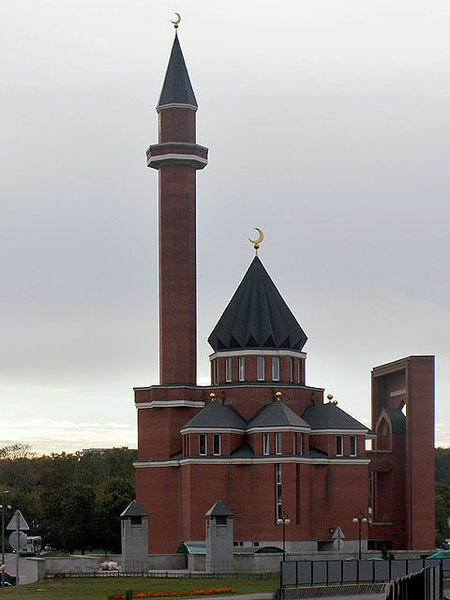 It’s called a mistake, I just changed it, now the real Islamic Centre of Washington D.C. can be seen. I don’t get it, how does it make a difference? How does it make me a liar for posting one wrong picture of a Sunni Mosque abroad? More importantly, how does it debunk what is claimed in the article, i.e. that the Rafidi Munafiq regime of Iran prevents Sunnis to pray according to their Madhab, behind their Imams i.e. 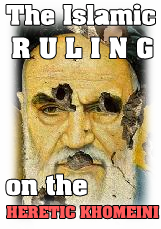 prevents them of having a single proper Sunni Masjids in Tehran! Are you retarded or something or how can you conclude that by us putting a wrong picture of some Rafidi temple, somehow our whole article will be debunked. I am iranian sunni muslim and i am very thankful that people question that there is no mosque in Teheran. Its very important. I believe its impossible with dialoge with the 12-imam-shia people, the only solution that i can think of is war between muslims and rafidah. I believe these rafidah dont even know what Tajweed means, they recite it as if it is a book in Farsi. If Israel and USA would be given a wish, they all would have wished that middle east become shia because it goes hand in hand with their belief. “Son os Sunnah” – you’re not Iranian nor Islamic. You’re a Zionist agent or a Salafi/Wahabbist British borne moron. Even donkeys know there are Sunni Mosques in Iran, 10,000+ of them. Further, the big elephant in the room you’re evading is why Sunnis are so segregating and won’t just come pray in Shia mosques. That’s because you want to spread the Rothschild false Sunni-Shia divide or are tangled up in it like a gullible. Put aside your hatred and contempt, you are looking like a fool. Proof: Go and show us a single Sunni bookshop in Tehran, you know there is no such thing, so stop being a clown and Mullah lover. Now who is the Zionist? 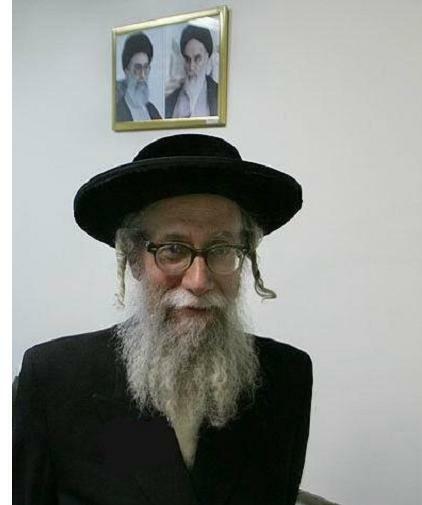 In fact the Shia Safavid regime is worse than the Zionist regime, because even in Haifa (Israel) Muslims are allowed to have their own Sunni Mosques, not so in Tehran!!! And the hell with Rothschild and the Safavid Shias and Zionist.